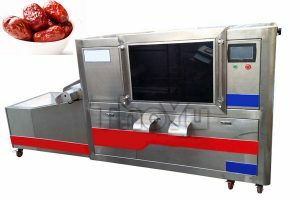 We have two kinds of pitting machine, one is TYQH-04 fruits pitting machine, and the other is TYQH-06 fruit pitting machine. 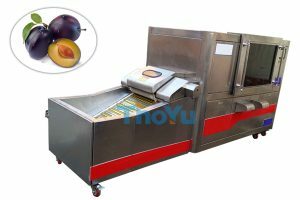 Fruit pitting machine can meet various size and viscosity of fruit with the kernel. 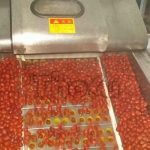 Application: jujube, dates, red date, Chinese date, Korean date, Indian date, Egypt dates, palm date, hawthorn, olives, plum, apricot, cherry, greengage and other fruits. 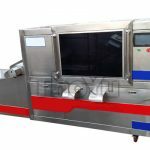 TYQH-04 fruits pitting machine is made of 201 stainless steel. 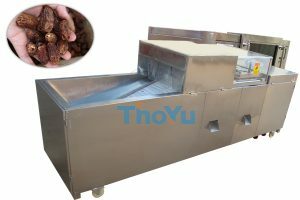 ThoYu adopts the conveyor type, which has better performance and in accordance with hygienic standards. And the pitting rate is 96%. 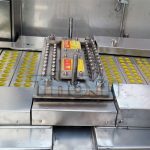 Meantime, fruits pitting machine has three discharge holes, respectively for final fruit, stone and defective products. 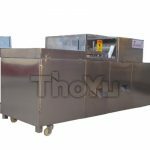 TYQH-06 fruit pitting machine is made of 304 stainless steel. 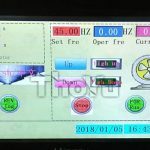 ThoYu adopts s automatic PLC control system, and the driving system. And the pitting rate is 99.96%. Besides, ThoYu does, with great gentleness it preserves the integrity of fruit. 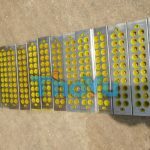 At the same time, Raw material conveyor belt adopts new imported polyurethane material with longer service life, so that the shape completely unchanged after processing. In addition, there is an observing window, and you can check the working situation by open the widow or outside. Fruits pitting line involves fruit processing flow: feeding and cleaning, polishing, spraying, drying, grading, pitting. We can customize the whole process to meet your practical production. In addition, we also can provide fruit slicing machine and cubes cutting machine for you.